Redmi’s spring new product launch conference was held in Beijing. 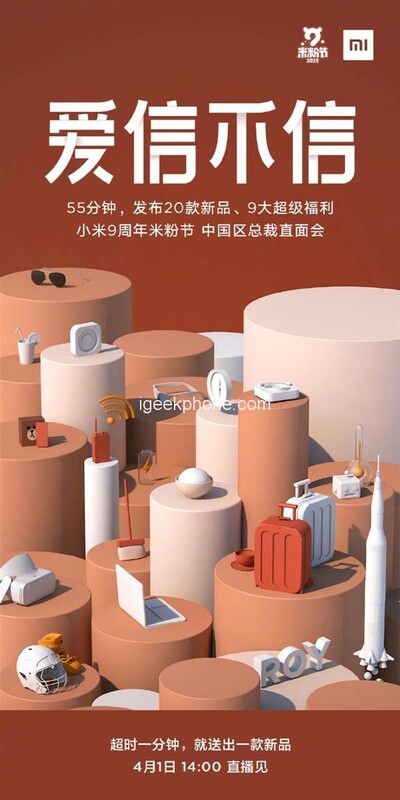 Four new products were released: Redmi Note 7 Pro, Redmi, Redmi AirDots true wireless Bluetooth headset, and Redmi Automatic Washing Machine 1A. 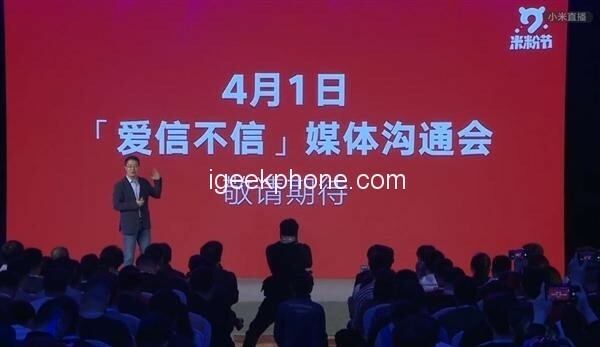 At the end of the conference, Lu Weibing, vice president of Xiaomi Group and general manager of Redmi brand, revealed that the “Aisin Buxin” media communication meeting will be held on April 1st, and the activities of the rice noodle festival on April 9 will be announced. 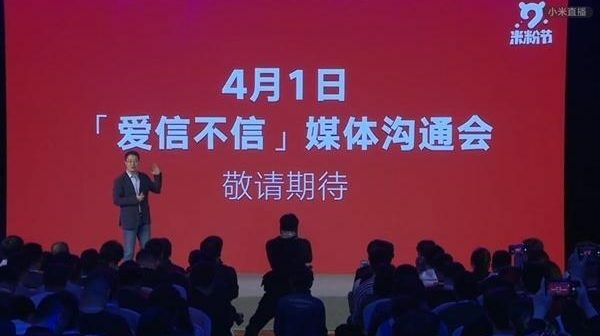 Just now, Xiaomi’s official Weibo released the latest news: On April 1st (next Monday) at 14 pm, the president of Xiaomi China, Wang Chuan will appear and release 20 cool new products, 9 rice noodles super welfare. And even the release time is good, the total length of 55 minutes, “one minute out, send a new product.” On average, there is a new product in less than 3 minutes, this time is the most intensive product released in Xiaomi history. Field conference. From the preheating poster, we can see the “ROY” logo, when Wang Yuan custom version of Xiaomi Mi9 may be unveiled, in addition to sunglasses, batteries, VR helmets, laptops, suitcases, thermometers, walkie-talkies, etc., and even one A “rocket”. In short, this time facing the face will be destined to be full of dry goods, we will wait and see.